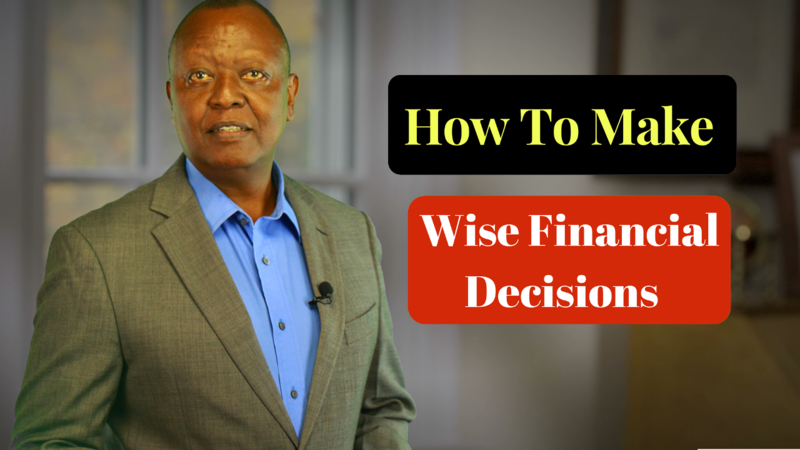 Every day, you are confronted with choices in regards to your finances. There is no escaping it, choices have to be made. The choices you have to make shouldn’t consume your entire life. That is no way to live. Start by writing things down. This can be an effective tool for organizing your thoughts, comparing choices and getting a sense of the true situation. For some reason, when you see things on paper, they often look much very different than when you just think about them. You are often able to leave things alone for a while and clear your mind if your thoughts are safely on paper. For example, if you are deciding whether or not to sell your house, you could make a few lists. Start with your selling of the house page. List what you paid for it, including legal fees and any major improvements you may have done. Then write down how much you owe on the mortgage if you have not finished paying. How much do you expect to get for your house? Write down a few realistic numbers. Now you can see what your profits might be. Then look at your options for after you sell your house. Are you looking at moving up to a bigger, more expensive house? Calculate what your mortgage payment would be if you moved into a larger home. Then look at moving down to a less expensive house. I know that idea may not make sense to you, but consider what having even less of a mortgage might mean to your finances. If you are in a financial pinch right now, a smaller mortgage might be helpful. Once everything is down on paper, and you think logically and without haste through all the sides of the issue, you are most likely to a good decision. Most importantly, decisions must be made. We make small ones every day. Large ones seem so much more important and take more time. But you can’t second guess your every decision. Once you make your choice, it is made. And you will deal with the consequences. Take your time, review the facts and use your calculator. Don’t just rush into things based on emotion. Remember, plans don’t always work out and you have to reassess the situation. But if you plan wisely and take your time, things will work out in the long run. Thank you for your time. See you soon!